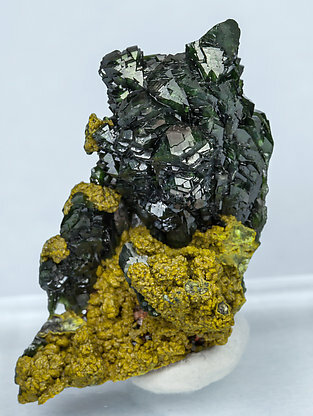 Aggregate, on matrix, of crystals with very well defined faces and edges. They are translucent and bright and have a deep and uniform color. This sample is of great quality for a recently (2006) approved species that needed an accurate analysis to assure a correct attribution. We’ll send a copy of the analysis to the buyer.